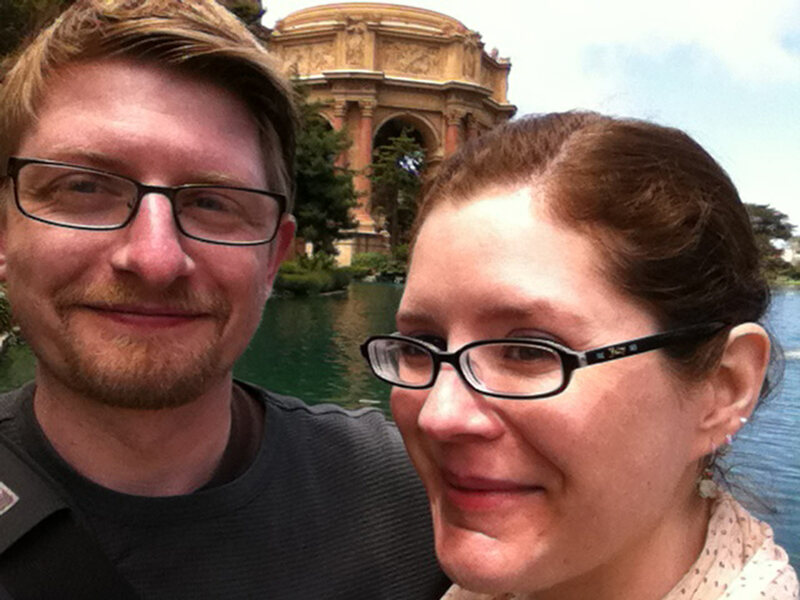 With my awesome wife Nicole in San Francisco. That’s Alcatraz in the background. This week I had to write an annual report for The Smith Foundation, who are the fiscal sponsors of 454 Productions. In cataloging the successes I’ve had this past year, I was really blown away by how much has happened and, more importantly, how many great friends I know who support creativity and independent vision. It was really eye-opening to see what was accomplished, and to be reminded of how important it is to be a part of a creative community that supports each other. There is nothing like it! In March I launched a fundraiser through IndieGoGo to support my film “16 Photographs At Ohrdruf” and raise money to pay for post-production and the costs of getting the film into festivals. To make this work, I partnered with John Smith and The Smith Foundation. 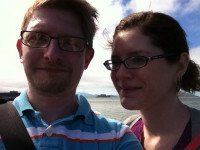 John has been incredibly supportive and without his help I’d be totally lost. The same is true of James Nadeau who, let’s face it, has single-handedly created a film community in Boston that has no equal. With Nicole in SF, at the Palace of the Arts. Things went from great to amazing in April. On April 4 we premiered the film at Lesley University. Dr. Geoff Megargee of the U.S. 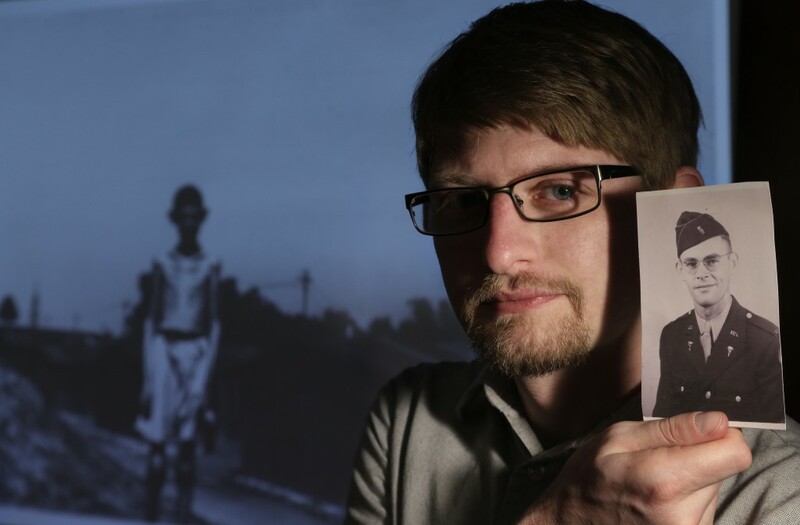 Holocaust Memorial Museum introduced the film and gave a powerful lecture. On the same day, the fundraiser closed by raising over $8000 for the project. Based on the power of the film and the success of the premiere, a private donor also gave $2000 in support of the film. That same day, the Associated Press put out a feature story on the film that appeared in over 1000 papers and websites. The story was the top news item on Yahoo! News and The Huffington Post, as well as the Times of Israel. Newspapers across the country were featuring stories about “16 Photosgraphs.” The letters came flooding in! Winning an award at the G.I. Film Festival. (L-R) Brandon Millett, Michael Equi, Ms. DC Allyn Rose, me and Laura Law-Millett. On top of that, Boston’s National Public Radio station WBUR ran a story for Morning Edition about the film that was picked up and ran nationally on All Things Considered and Weekend Edition. That was just April 4, not-so-coincidentally the 68th anniversary of the liberation of Ohrdruf. 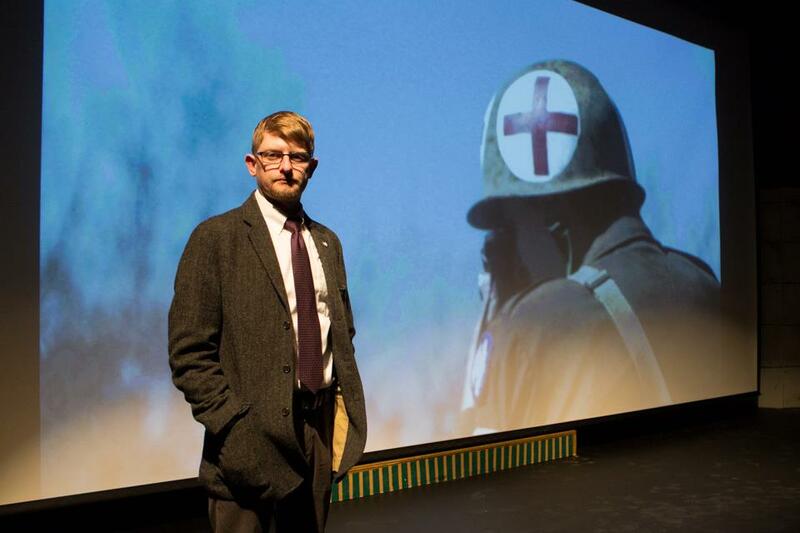 Two days later, on April 6, Colonel Douglas Dillard and his wife Ute presented the film in Germany at a ceremony honoring the liberation of the Ohrdruf camp. This was hosted by the Jonastal Foundation. On April 16 the film was included in the Boston International Film Festival. While the screening was marred by the Boston Marathon bombings the day before, the film still did very well and won “Best Cinematography” in the festival. On top of Hurricane Ridge in the Olympics, with Nicole. May brought the G.I. Film Festival, which is one of the best experiences of my life. Editor Michael Equi and I traveled to Arlington, VA for the festival which was incredibly well-run, well-funded and a great time. We saw tons of awesome movies about the experiences of GI’s and were incredibly honored to win the “Founder’s Choice Award For Best of Fest.” Standing in front of the crowded theatre with Michael and Ms. DC was surreal and awesome. In June I figured out how to make my own teleprompter for under $40. 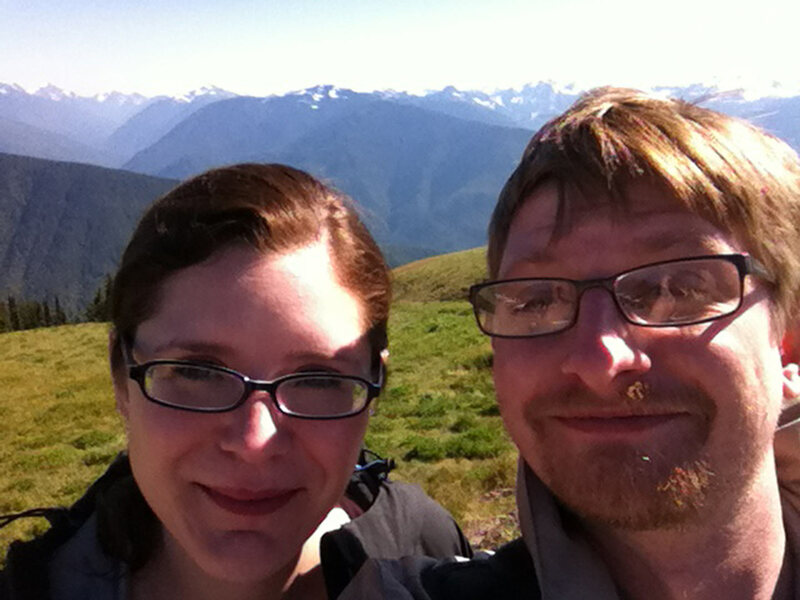 In July my wife and I explored the Pacific Northwest and the Elwha River Restoration. 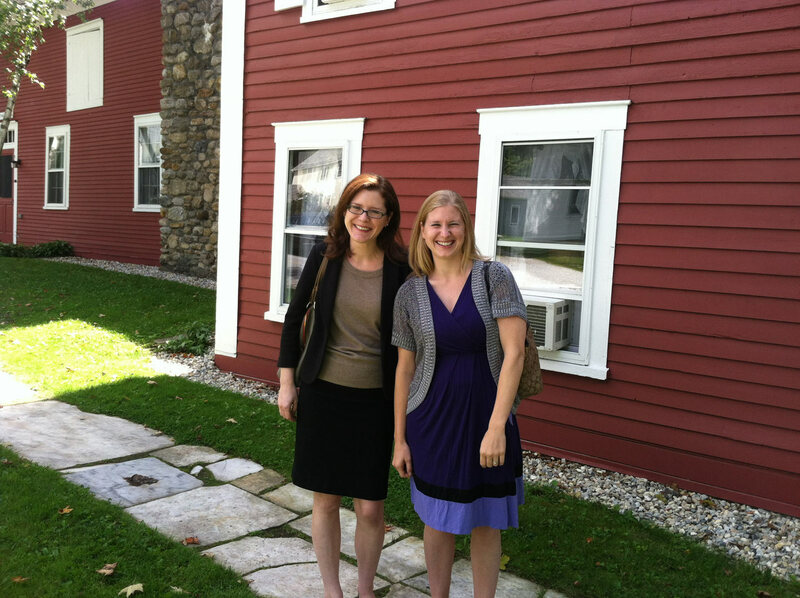 Nicole and my sister Martha in Vermont. August was full of mixed feelings. On August 10, “16 Photographs” was playing at the Chain NYC Film Festival. I drove down for the screening, and while the film played I received news that my Grandmother, who appears in the film, had died. 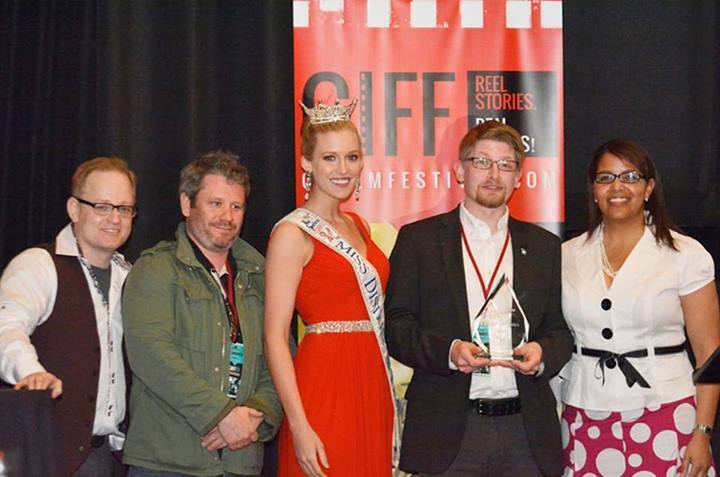 The following week was a blur of family in Vermont, a funeral, my wife’s high school reunion and the great moment when we won “Best Documentary” on August 18. September brought the start of the new semester and craziness at work. It also brought the start of work on two new projects: “End of Night” – a feature-length fictional script based on the interviews in “16 Photographs”; and “Dysopticon” – a sci-fi mystery. I’ll be posting more on these projects as things develop, but I have to say I’m really excited to be working on these new ideas. 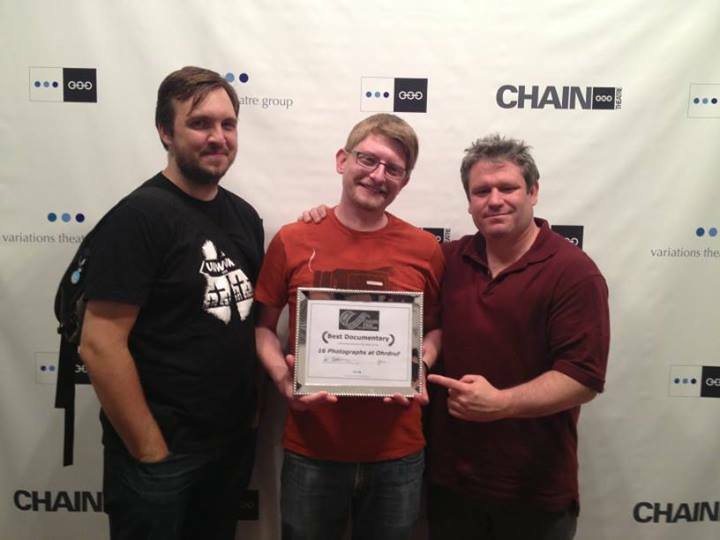 Producer/sountracker Jason Dean Egan, me and editor Michael Equi, winning another award in NYC. October saw the screening of “16 Photographs” at The Little Theatre in Rochester, NY. This was a great hometown showing, since I grew up near Rochester, and several people from my past turned up to see the film. Also it was great for my Mom, who appears in the film, to be able to share it with her friends. Also in October, I was invited by the amazing James Nadeau to speak as part of a panel talk at Emerson College. This was a panel for the Nantucket Film Festival, part of their student short film program. It was an awesome experience to share my newly-won experience with young filmmakers. On November 8 I signed a deal with American Way Productions to release the film nationally via The Pentagon Channel. This deal will bring the film to a potential 30 million viewers! At Lesley University to present the film. As November came to a close, I learned that the new Digital Filmmaking program at Lesley University was approved. I’m now working hard on getting things ready to launch the new major and start my new life as a Department Coordinator overseeing this exciting new program. As 2013 comes to a close, I find myself optimistic about the future. “Dysopticon” is in pre-production and I have great friends and talented artists signed on to make it happen. We even have a little bit of money! “End of Night” is going into circulation, and the new Digital Filmmaking program is underway. I could ask for more, but I’m not sure when I’d have time to do it! So this is my New Year’s post. If you talked to me in 2013, or helped or gave advice or money or support or even just a passing hello then I want to thank you. I can’t believe what has transpired. As for 2014? Bring it! Special thanks to Nicole Haefner, Michael Equi, Jason Dean Egan, Molly Egan, Eric Dean Boccio, James Nadeau, John B. Smith, Fred Levy, Susan LeVan, Josh Winer, Becky Bettencourt, Jeff Warmouth, James Manning, Rob Coshow, Colin Tracy, Liz Byrne and Christine Collins. Without you……….